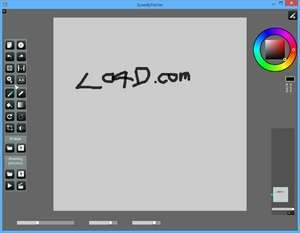 Speedy Painter Portable is a simple and lightweight painting software. It is written in C++ and uses the OpenGL graphics library. It supports Wacom digitizers to vary size and opacity of brush strokes according to pen pressure. For security reasons, you should also check out the Speedy Painter Portable download at LO4D.com which includes virus and malware tests. Additional screenshots of this application download may be available, too.